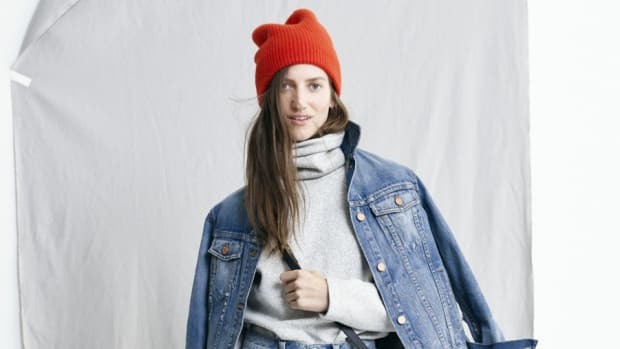 Madewell has released its Spring 2014 lookbook, and it delivers on exactly what new head designer Somsack Sikhounmuong promised it would: everyday staples, largely in denim, flannel and cotton, with "almost a tomboy sense of ease." Comparing it to last spring&apos;s collection, the lookbook underlines Madewell&apos;s move away from J.Crew&apos;s trendier silhouettes and bright colors to a more casual, subdued weekender look. That&apos;s both the good and bad of the collection: It looks ideal for off-days and beach wear, but outside of a white blazer, the blouses, one red jacket and the accessories, few of the looks are suitable for work. But maybe that wasn&apos;t Madewell&apos;s aim (though Sikhounmuong did previously say he was inspired by the women in his office -- perhaps it&apos;s just more of a casual affair over there). See the full the lookbook and let us know what you think. A new Madewell collection is pretty much always a call for celebration at the Fashionista offices, but this is especially the case for Spring 2014, as it's the first collection under new head designer Somsack Sikhounmuong.